Yanma in game: 2,425 Who? Important notice! Pokemon Yanma is a fictional character of humans. In The Thief That Keeps on Thieving!, a rookie Trainer named Tyler was about to capture a Yanma that his Piplup had weakened, when Team Rocket showed up, and Jessie captured it instead. They sent it to Giovanni; however, Team Rocket already had obtained a large number of Yanma and so Giovanni returned it to them. 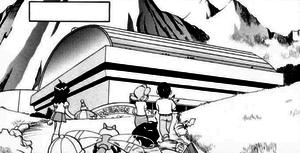 When Jessie used Yanma in battle, it used AncientPower and evolved into a Yanmega. During this time, another weakened Yanma got away. A third Yanma appeared afterwards, and Tyler finally captured that one. 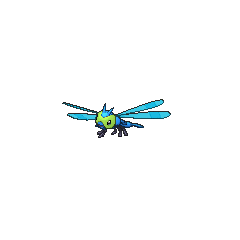 Yanma first appeared in Wings n' Things. It was carelessly breaking glass in a town. A Yanma appeared in All in a Day's Wurmple, under the ownership of Forrester Franklin. 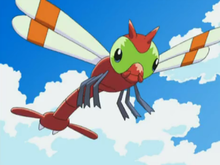 Yanma also made a cameo in Pikachu's PikaBoo, and another as one of the Pokémon to appear in Latios and Latias' garden in Pokémon Heroes: Latios & Latias. Multiple Yanma also appeared in the same movie where they flew over the Tour de Alto Mare competitors. Multiple Yanma appeared in Lucario and the Mystery of Mew living in the Tree of Beginning. Also, one appeared in the opening of the movie. A group of Yanma also appeared in The Rise of Darkrai. Yanma also appeared in Pokémon Ranger and the Kidnapped Riolu! Part One. Yanma appeared in Zoroark: Master of Illusions as a few of the many local Pokémon who lives in Crown City. Three of them took part in surrounding Zorua in the park along several other Pokémon to attack him, angry at Zorua for what Zoroark did to the city. 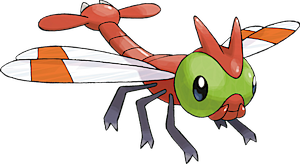 Before a fight broke out, the Yanma, along with the other Pokémon, were calmed by Celebi. 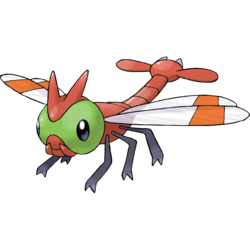 EP177 Yanma Ash's Pokédex Yanma, the Clear Wing Pokémon. 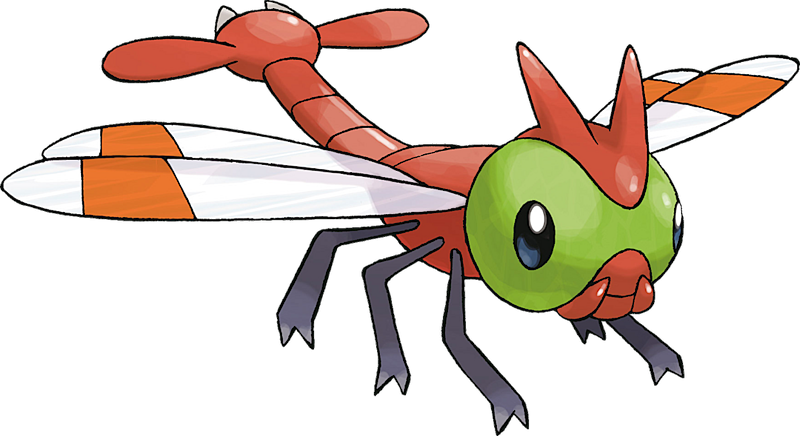 Through the use of its two large eyes, Yanma can see in all directions at once. Yanma is capable of beating its wings at a high rate of speed generating a powerful shockwave strong enough to shatter glass. Two of Yanma's strongest attacks are the Tackle, Double Team, and SonicBoom. EP177 Yanma James's book Yanma can flap its wings faster to generate a shockwave capable of shattering windows. DP080 Yanma Giovanni's computer Poké Ball contents: Yanma. Its usable moves: Wing Attack, Quick Attack, Sonic Boom and Ancient Power. A trio of Yanma are accidentally let loose in Yikes, It's Yanma!, causing minor chaos at Indigo Plateau by taking an infant hostage. Gold quelled them by taking advantage of their near-360-degree vision with Sudobo's Poké Ball, and then successfully rescued the child. 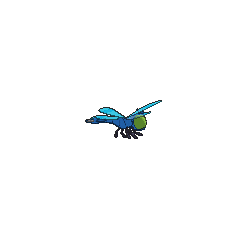 A Yanma was one of the Pokémon sent to help the fight in Ilex Forest in The Last Battle XIII. Yanma is the last Pokémon in Johto Pokédex order that has the same number that it has in the New Pokédex, due to its evolution and the evolutions of Aipom, Lickitung, Piloswine, and Tangela all being added to the Johto Pokédex. 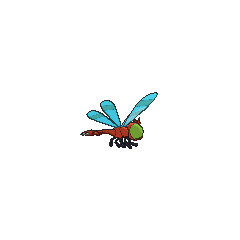 Yanma is based on a dragonfly, possibly the red-veined darter. Because of its size and weight, it might have been inspired by extinct giant dragonflies in the Meganeuragenus.